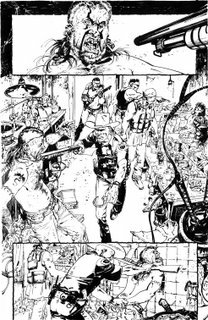 This is a sample page that Guéra produced over a year ago, without a script, just working off the original proposal for SCALPED. One look and we knew right away we'd found our artist. 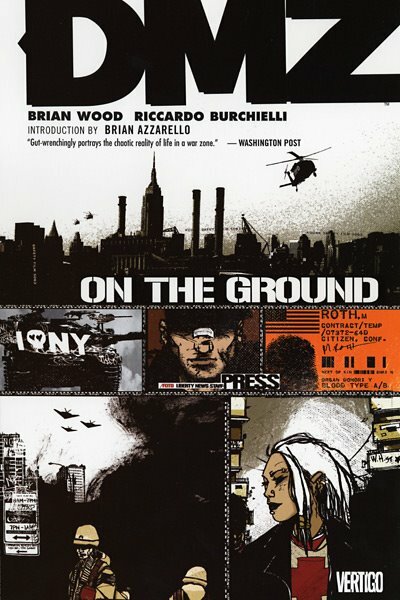 Thanks to Brian Wood for the recent mention on his blog. Brian, of course, is the amazing writer of DMZ and the upcoming Viking series NORTHLANDERS, both for Vertigo. The main cast, courtesy of artist R.M. Guéra, genius at large. "As I've said before, my biggest concern with working on this book was doing the script justice. It's a fantastic piece of writing, everyone who's read it has been completely captivated. This is a script that came to DC in the mail, unsolicited, and on its strength Aaron now has two series at Vertigo. I wouldn't have invested so much of myself in this if I didn't wholly believe in the brilliance of the story. 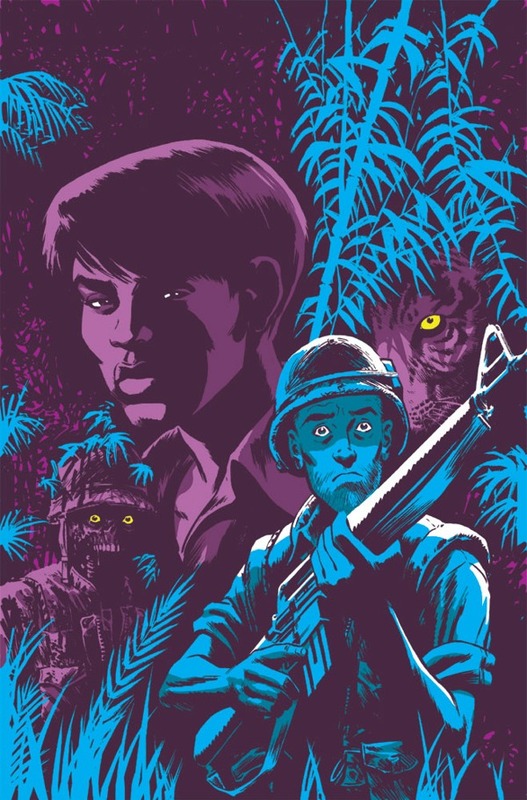 I've worked with Grant Morrison, Ed Brubaker, Pete Milligan, Mike Mignola, Brian Azzarello, Joss Whedon - a veritable Who's Who of the best writers in comics - and this is easily one of the very best scripts I've drawn." In 2002, Jason Aaron won a Marvel Talent Search contest and subsequently saw his 8-page story published in Wolverine #175 and… that was it? For those who’ve been following the recent con reports, Aaron’s name not only came up once but twice at DC’s Vertigo panels. 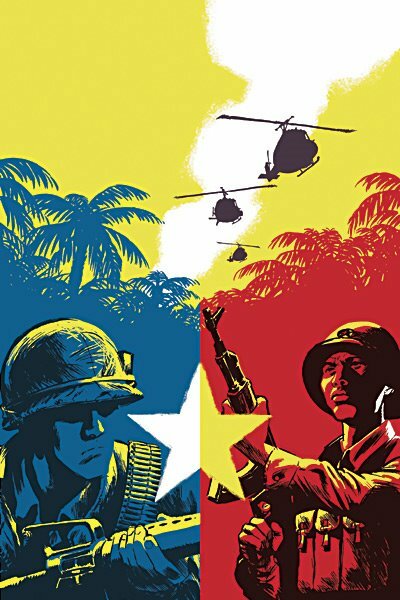 The Other Side, an October-debuting five-issue Vietnam War limited series with art by Cameron Stewart, was announced at Comic-Con International: San Diego. 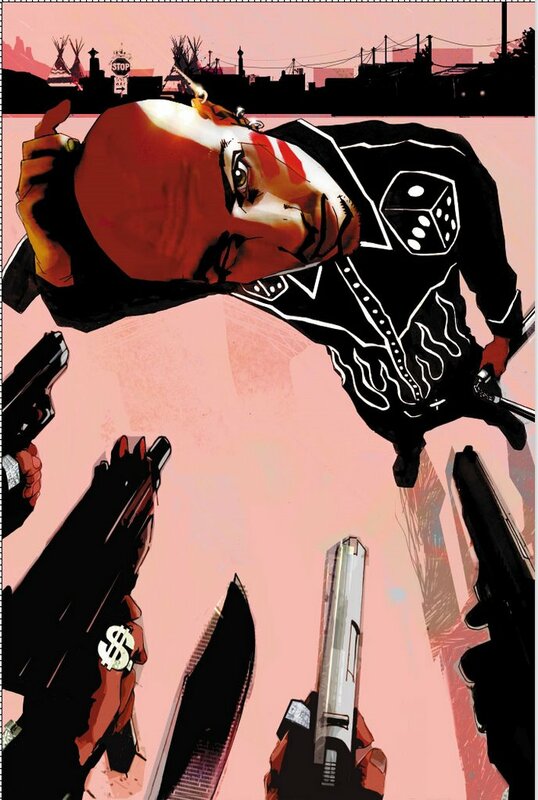 This was followed by the announcement of another Vertigo project, this time an ongoing series called Scalped with art by R.M. Guéra and covers by Jock, at Wizard World Chicago. Newsarama.com tracked down Aaron for a meet and greet session. 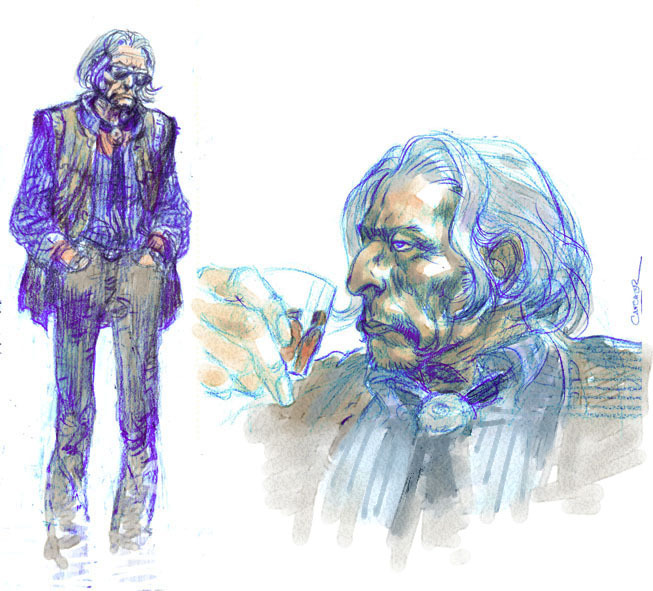 This is one of Guéra's first sketches for the book, for a mysterious character known simply as "Catcher." 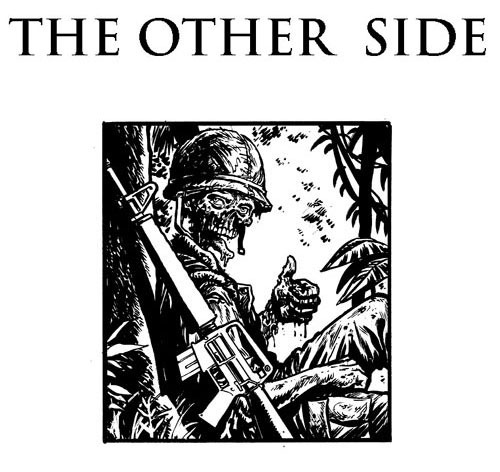 The Other Side writer talks about telling a war story from both sides. 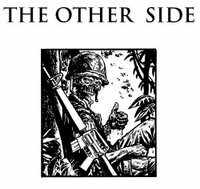 This October, writer Jason Aaron and artist Cameron Stewart will present THE OTHER SIDE, a story of the Vietnam War focusing on two soldiers, one American and one Vietnamese. For both creators, the project has required significant personal investment. Stewart went overseas to do research for the story, while Aaron is taking his inspiration from his late cousin, a war correspondent. Aaron sat down with Wizard Universe to talk about the genesis of the Vertigo project. I'm dying for people to see the work that R.M. Guéra is doing on this book, so here's just a taste. This is page 2 from issue #2. 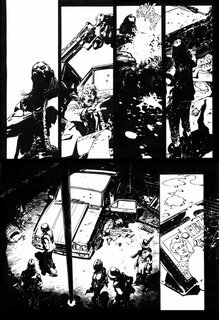 Over at the comic book message board The Engine, artist Cameron Stewart has put together what he calls a "trailer" for THE OTHER SIDE. Looking at his amazing work made me actually forget for a second that I wrote the damn thing and just think, "Wow, I can't wait to read that." 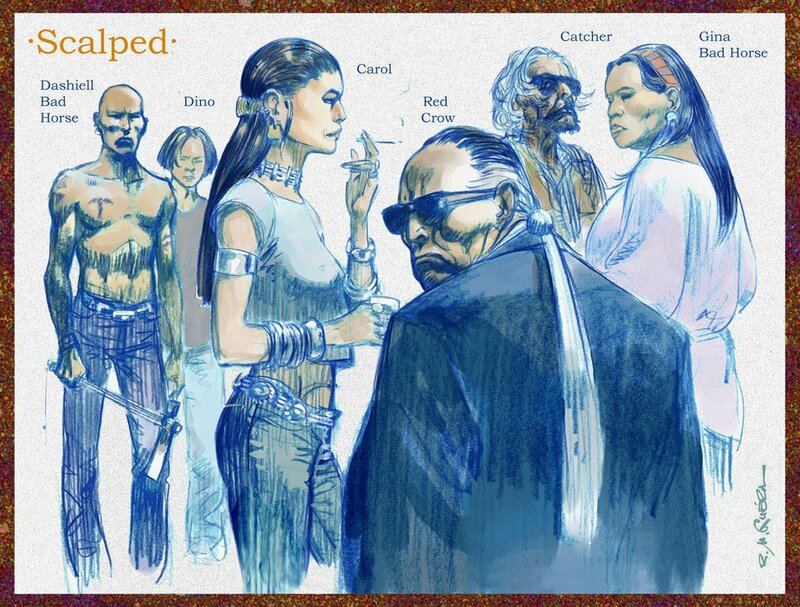 This past weekend at Wizard World Chicago, I sat in on my first Vertigo panel, and talked about both THE OTHER SIDE and my newest project, SCALPED. 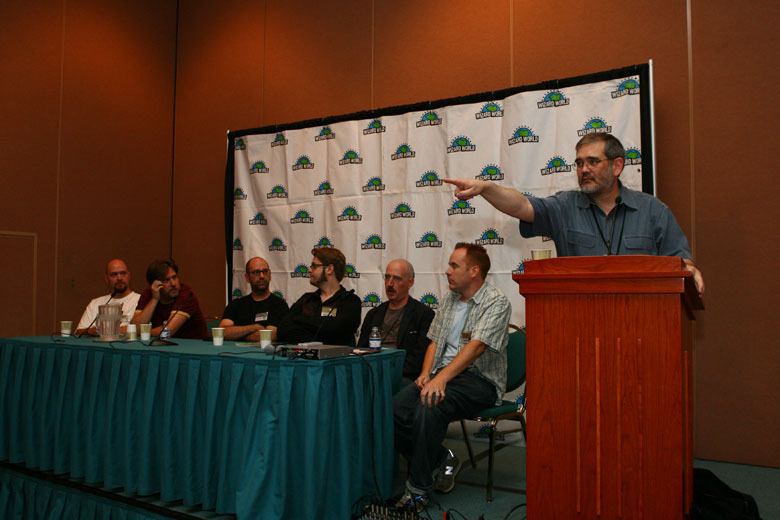 From right to left, that's VP of sales Bob Wayne, editor Will Dennis, writer Brian Azzarello, artist Tony Moore, writer Brian Wood, artist Peter Gross and me, your humble narrator. 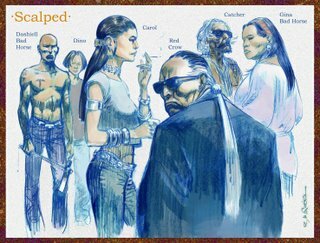 My newest Vertigo project, an ongoing series titled SCALPED, was announced this past weekend at Wizard World Chicago. It's a crime series set on a modern day Indian reservation in South Dakota, and basically it's about the bad things that can happen when you take the poorest region of the United States and you add a multi-million dollar casino and all the corruption that goes along with it. Covers are by Jock (THE LOSERS) and interior art comes courtesy of European sensation R.M. Guéra. Comic Book Resources: "Jason Aaron Cuts Close with SCALPED"
Wizard Universe: "Vertigo Heads to Indian Reservation for SCALPED"
And check back here later this week for some special preview pages. If you're going to the Wizard World Chicago convention this weekend, be sure to check out the Vertigo panel at 5 pm on Saturday. I'll be there to talk about THE OTHER SIDE and to announce my newest project. Should be fun.